President Trump and Kim Jong-un are slated to meet for a second landmark summit on February 27-28. Given how little progress has been made since last June’s summit in Singapore, Summit 2.0 seems a bit premature. 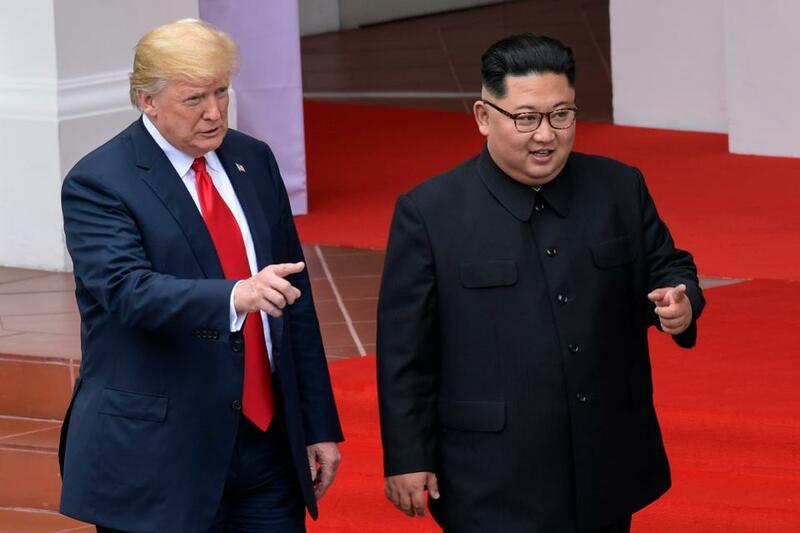 Still, it will offer an opportunity for Mr. Trump to raise concerns about North Korea’s horrific human rights record, as well as its nuclear weapons program. Sanctions are a key feature of President Trump’s “maximum pressure” strategy to bring Kim Jong-un to the negotiating table. Administration officials have often said that the North Korean leader can expect no sanctions relief until he denuclearizes. Sanctions are a critically important part of U.S. strategy. But such statements fail to acknowledge that sanctions are instituted against Pyongyang for more than just its nuclear weapons program. North Korea is designated as a primary money laundering concern under Section 311 of the USA Patriot Act. It is also designated as a state sponsor of terrorism. As long as the regime continues to engage in these practices, neither designation can legally be lifted—even if it denuclearizes. Equally salient are the sanctions placed against North Korea on human rights grounds. The North Korean Sanctions and Policy Enhancement Act (NKSPEA) brilliantly marries both human rights and national security issues. It does not view progress on denuclearization as antithetical to progress on human rights. Sanctions relief for the former is precluded unless Pyongyang closes its political prison camps and addresses other human rights issues such as abduction, censorship, and family reunification. NKSPEA sanctions are among the toughest in Treasury’s sanctions arsenal. NSKPEA sparked the broader use of executive authorities during the Obama administration that led to the designation of Kim Jong-un, 10 other North Koreans, and five North Korean entities on human rights grounds under executive orders (E.O.) 13687 and 13722. It marked the first time that the U.S. explicitly issued sanctions on human rights grounds. Additional sanctions followed. North Korea’s brutal Ministry of State Security – the entity directly responsible for holding 80,000 – 120,000 individuals in political prison camps – was sanctioned under E.O. 13687. Many other individuals and entities are under sanctions for pressing North Koreans into forced labor and censoring and propagandizing the North Korean people, among other violations. These sanctions, principally issued due to congressional leadership and mandatory requirements laid out in the NKSPEA, send a clear message to North Korea: the U.S. cares about human rights and sees the government’s abusive behavior as threatening to U.S. national security. In fact, there are direct links between the Kim regime’s human rights abuse and the continued production of its nuclear and missile weapons program. The regime is said to have tested chemical and biological weapons on its prison population, children, and the disabled. Other reports indicate that forced labor from prison camps is used within Kim’s missile and nuclear weapons programs. And North Korea raises many millions, possibly even billions of dollars, by hiring out its forced laborers abroad. That money likely funds the missiles and nukes back home. Which brings us back to the summits. President Trump missed an opportunity at the Singapore summit by choosing not to raise human rights concerns. It could have been a history-making moment to make progress with a regime whose human rights abuses have no parallel in the modern world. Under U.S. law, President Trump is obligated, not just to enforce U.S. sanctions instituted on nuclear grounds, but to enforce sanctions issued on human rights grounds. That means raising human rights concerns as a reflection of the duality that exists in U.S. law. The summit in Vietnam gives Trump a second chance to do just that. And it could be a great test of Kim Jong-un’s sincerity when he says he desires reform for his country. Not a single sanction instituted on human rights grounds should legally be lifted if North Korea only denuclearizes. U.S. law mandates that North Korea clean-up its human rights track record. Reform does not and cannot mean only denuclearization. It means progress on human rights. As the administration undertakes preparations for a second summit, it should take U.S. law into consideration and recognize that ignoring human rights violations is not in the American way. To make true progress with North Korea, all issues must be on the table. This article was written by Olivia Enos from Forbes and was legally licensed through the NewsCred publisher network. Please direct all licensing questions to legal@newscred.com. previous The U.S. Is Now Negotiating With The Taliban. Would Negotiations Work With Al-Shabab?